I haven't really had a chance to explore Frankfurt yet, but this is what I see outside the office I'm working in this week. 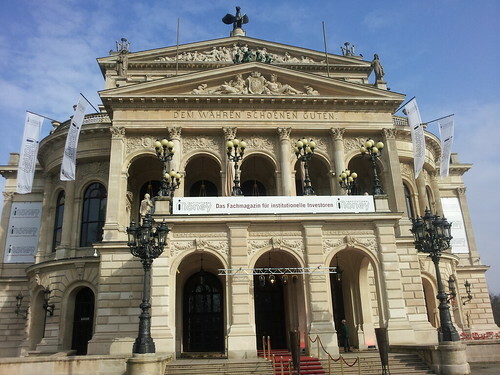 It's called Alte Oper, or Old Opera, and as you might guess, it's Frankfurt's former Opera house. Here's a shot from the Opernplatz in front. 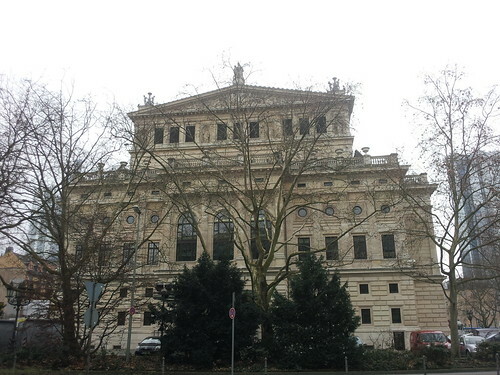 Prior to being bombed in WWII, Alte Oper hosted the premiere of Carl Orff's Carmina Burana in 1937.